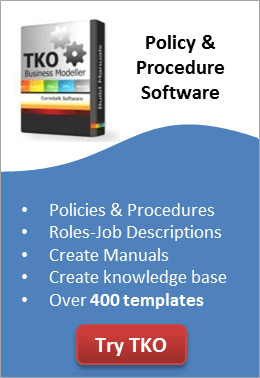 Pat Williams, is the creator of TKO Business Modeller & TKO Policy Guides software. Pat firmly believes in the benefit of documenting your business systems. In doing so, a business owner can build the system once, then duplicate themselves over and over again simply by inducting new people into the system.